The L5 2nd annual Space Development Conference was held in Houston, Texas on April 1-3,1983. The following is an extract of the conference brochure. Introductory Address: Col. Gerald P. Carr, U.S.M.C., Ret. Col. Gerald Carr will address the Conference on “Living and Working in Space,” a topic which he is uniquely qualified to discuss, since he spent over 84 days in space as the Commander of the last Skylab Mission. Col. Carr and his Skylab IV teammates share the American record for time spent living and working in space. Col. Carr was chosen by NASA as an astronaut in April of 1966, and served as a member of the astronaut support crews and as Cap.Com for the Apollo VIll and Xll flights. Col. Carr retired from the United States Marine Corps in 1975, but remained active as a NASA astronaut in the space shuttle program for another two years. Since his retirement from NASA in 1977, Col. Carr has worked as an engineering consultant. He is now a Senior Consultant for Applied Research, Inc., a Los Angeles- based consultant engineering firm supporting aerospace and energy industries. THE CONFERENCE COMMITTEE: Margaret Adamson; Martin Bond; Avin Carley; Clifford Carley; Stan Clark; Wayne Cloud; Wayne Conaway; Shel Crow; Rick Cunningham; Hubert Daugherty; Harold Delhommer; Art Dula; Tamea Dula; Todd Fincannon; David Foster; Roberto Garza; Chris Harbaugh; Carole Lightbown; Gayle Norman; Ed Pankau; Patricia Parker; Rinaldo Petrini; Rodika Mirea-Petrini; Alice Tomasello; Daniel Woodard. Dr. Gerard K. O’Neill will receive the Conference’s Award as the scientist who has done the most to promote private space industrialization. Dr. O’Neill’s seminal study of space colonies at LaGrangian Point 5 provides the theoretical means of establishing industry in space. Dr. O’Neill graduated from Swarthmore College in 1950 with high honors in Physics, and received his Ph.D. in Physics from Cornell University in 1954. He went to Princeton University in that year as Instructor, becoming Professor in 1965. Dr. O’Neill’s main research area is high- energy particle Physics. In 1956 he invented the storage-ring technique for colliding particle beams, a method which is now the basis for nearly every new high-energy machine. His studies on the humanization of space began in 1969 as a result of his undergraduate teaching at Princeton, and were first published in 1974. His book The High Frontier won the Phi Beta Kappa Award as the best science book of 1977. He is also the author of 2081: A Hopeful View of the Human Future and the co-author of A Graduate Textbook, Introduction to Elementary Particle Physics. Dr. O’Neill is President of the Space Studies Institute, an organization which funds scientific research. David Hannah, Jr. has been chosen as the businessman who has done the most to promote commercial activities in space by private enterprise. Mr. Hannah is the Founder Of Space Services Incorporated of America, the private corporation that launched the Conestoga I rocket in 1982. Mr. Hannah is a graduate of Rice University and was actively engaged in residential real estate development for many years before he founded Space Services, Inc _ in September 1980. He has served as both President and Chairman of the Board of Space Services since that time and has been instrumental in the success of that corporation. Mr. Hannah is a lifelong member of the First Presbyterian Church in Houston where he is an elder emeritus. He has been a Director of the First State Bank of Bellaire since its inception in 1952, and continues to serve as a Director. Mr. Hannah also serves on the Board of Trustees of the Hermann Estate, a foundation which operates Hermann Hospital in Houston, as well as managing the foundation’s real estate holdings throughout Texas. Congressman Newt Gingrich will be honored as the legislator who has done the most to promote space development. This award is in recognition of the Congressman’s efforts in organizing a Congressional Space Caucus. Newt (as he prefers to be called) received a Bachelor’s Degree from Emery University and a Doctorate in Modern European History from Tulane University. He was a Professor of History and Environmental Studies at West Georgia College in Carrollton, Georgia for seven years before winning election in 1978 as Georgia’s only Republican Congressman. He represents about a half million Georgians living in twelve counties south and west of Atlanta. Congressman Gingrich serves on the Public Works and Transportation Committee and its Aviation Subcommittee, as well as on the House Administration Committee. While in Congress, Congressman Gingrich has been instrumental in organizing the Congressional Space Caucus and has been a vigorous advocate for space exploration and development. On Saturday at 12:30 p.m., Chris Peterson will chair a session on “How to Start and Run an L-5 Chapter.” Joining her will be K. Eric Drexler, an L-5 Board member and speaker at the Conference, David Brandt. Erichsen, L-5 National Funds Coordinator, Randal Clamons, L-5 Society Administrator, Carol and Stan Nevins, L-5 Space Week Coordinators, D. Barrie Duncan, L-5 Speakers Bureau Coordinator, Doug Buettner, [-.5 Chapter Awards Coordinator, and various leaders Of successful chapters. This session will consider a variety of topics including rules and rebate programs for chapters, ideal projects, how to get the best service from L- 5 Headquarters, the L-5 Speakers Bureau, how to give an “lntroduction to L-5” talk to general audiences, local telephone trees, the chapter award system, Spaceweek, legal limitations on Society political action, dealing with the media, and keeping up morale. For active L-5 members, and those wishing to start a local L-5 chapter, this Luncheon Workshop promises to be a valuable lesson on organizing and operating an L-5 chapter. On Sunday at 12:30 p.m., Mark Hopkins will lead a session on political action for space. Dr. Hopkins, vice-president of the Society and the L-5 Spacepac Chairman, will be joined by David Brandt. Erichsen, L-5 National Funds Coordinator, Mary Mason, L-5 Spacepac Adminstrator, Tim Kyger, L-5 Spacepac National Campaign Director, Bill Gardner, a local Spacepac organizer, and the L-.5 representatives in Washington, Paul Werbos and Gary Olsen. This panel will discuss the organization of the telephone tree at the national level and how and when it is activated, how to start a local Spacepac organization, how to choose candidates to support, how to use your L-5 chapter to support those candidates effectively, and how to interface with the national level L-5 organization. Those interested in political action in support of space activities should find this presentation to be invaluable. The General Program is designed for the intelligent layman who wants to know where we are going in space and what space can do for him and his business. This programming tract will kickoff Saturday morning at 10:00, directly after Col. Gerald Carr’s keynote speech. Clarke Covington, Acting Manager of the Space Station Office at the Johnson Space Center will provide an overview of the United States’ space program to Conference participants. Mr. Covington has been with the Johnson Space Center since 1962 and much of his work there has been associated with the analysis and design of future Manned Space Systems. He was the engineering manager for the initial USA- USSR joint mission studies and a member of the US management working group for negotiations of compatible space systems with the Soviet Union. Prior to his current assignment, Mr. Covington served as Manager of new program development for the Engineering and Development Directorate and the Chief of the Systems Design Office, where he was responsible for conceptual design, systems analysis and evaluation of advanced space systems for the Johnson Space Center. In the second hour of this two-hour program, G. Harry Stine will discuss the Soviet, Japanese, Chinese and French space programs. Mr. Stine worked in the pre-Sputnik days of the space program at White Sands as a rocket engineer. He started the educational hobby and sport of model rocketry and founded the National Association of Rocketry in 1957. Mr. Stine has worked with the top think tanks in technological forecasting and has served as a consultant to NASA and the Department of Energy on foreign Space programs, future space programs and solar power satellites. As an author, Stine is credited with more than 30 books and 250 magazine articles, including a new book The Hope for Future to be published by MacMillan, April, 1983. Science-fiction aficionados know Stine by his pen name, “Lee Corey”, and he also has a new science-fiction novel Manna currently serialized in Analog magazine, to be published in book form in summer 1983. Hon. Edward R. Finch, a partner in the New York law firm of Finch & Schaefler, will describe the roles international law and the United Nations play in influencing space development. Mr. Finch is past chairman of the ABA International Law Section’s Aerospace Law Committee. He is an L-5 Director and represents the L-5 Society at the United Nations. Sharing the podium will be James R. Myers, an associate in the Washington office of Andrews & Kurth, a Houston- based law firm. Mr. Myers will address the US laws affecting space industrialization. 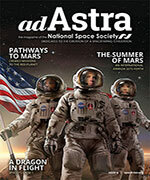 Mr. Myers specializes in government regulation in his role as counsel to Space Services Incorporated of America. He additionally serves as counsel to and as a director of the Institute for the Social Science Study of Space, the only academic non-profit organization studying social issues arising from outer space ventures, and is an associate member of the Congressional Staff Space Caucus. Mark Hopkins, vice-president of the L-5 Society and chairman of Spacepac, chairs this panel on the role of politics in space development. Dr. Hopkins is an economist with The Rand Corporation in Washington, D.C. where he studies space and defense Issues. Other speakers include Joseph C. Miller, executive director of Space Frontier Society, who additionally serves on the Joint Committee on Science and Technology in the California legislature. Mr. Miller will discuss the ramifications of state politics on space development and will report on UNISPACE ’82. James A.M. Muncy, aid to Congressman Newt Gingrich, will share his expertise on space politics in the nation’s capital, with specific reference to the Congressional Space Caucus. Judge John Wildenthal, Municipal Judge and former City Attorney in Houston, will address the role of local and state politics in private space development. Conference participants can learn the ins and outs of organizing and obtaining financing for new technological businesses by attending this session. Carl R. Henderson, President of Plantation Exploration, Inc., and formerly an investment executive with a regional brokerage and investment banking firm in Houston, has coordinated this unusual program. Stephen Glazier, an attorney with Kennerly & Harvey in Houston specializing in securities and real estate, will discuss the organization and early years of a technological business’ development, focusing primarily on the corporate structure. R. Bradford Perry will then explore financing space investments from the businessman’s point of view. Mr. Perry is President of Bentsen Investment Company, a venture capital firm in Houston dedicated to raising money for the entrepreneur. His talk will encompass analyzing a business’ venture capital requirements, determining how to meet them, preparing to solicit venture capital and the relationships between the entrepreneur and the financier. Robert Heinlein has predicted the time will come when humanity will be able to convert any mass into any product. Most Of the mass of the solar system lies beyond the earth. In coming years space industry will begin to tap this vast resource. This session will survey the solar system with the prospector’s eye for resources and how to mine them. Our speakers for this event are K. Eric Drexler, a Research Affiliate of the Massachusetts Institute Of Technology Space Systems Laboratory and Richard E. Gertsch, a mining consultant from Boulder, Colorado. Mr. Drexler has the distinction of having received the first National Science Foundation Fellowship granted for space industrialization and has three patents pending on inventions relating to space industry. One such invention is the Light- sail, a new class of space vehicle that may cut deep-space transportation costs by two or three orders Of magnitude. The technical programs will appeal to those persons who already are knowledgeable about space exploration and industrialization and who want an update on the state of the art of space development and future prospects for doing business in space. This program will feature Dr. Delbert D. Smith, a partner in the Washington law office of Schnader, Harrison, Segal & Lewis. Dr. Smith is the author of International Telecommunications Control, Communications via Satellite, Teleservices via Satellite and Space Stations: International Law and Policy, as well as numerous articles in American and foreign periodicals. He is particularly interested in the regulatory, institutional and international aspects of communications and communications satellites, and he will speak on his recent work in this area. This program will be chaired by Col. John Watson, USAF Ret.. Col. Watson is presently a consulting associate with Eagle Engineering, Inc. where he has served as a project manager on studies relating to future uses Of space launch vehicles, both manned and unmanned. Prior to his association with Eagle Engineering, Col. Watson represented the Department oi Defense Space Transportation System interests at the Johnson Space Center to ensure that NASA’s space shuttle satisfied defense requirements. Col. Watson will speak on the “Structure of the Military Space Program and Its Relationship to NASA.” Members of the panel will also include Kurt Krieger, an attorney with Miller, Nash, Yerke, Weiner & Hager Of Portland, Oregon, who will speak on “The Law Of Military Space Operations”, an overview of military space systems. Michael Calabrese, a student of military history and policy, will present an historical overview of military space systems and policies. Ya’ll come to our Western Welcome Party in the MiniDome, Friday p.m.! Western music, chili, beer and dancing! The Tom Cummings Group will provide jazz accompaniment at the Awards Banquet and Reception. Get your tickets right away! Saturday’s program discussed the current status of space development. Sunday’s program will explore the future — what the probabilities are and some of the possibilities. Gary Hudson, President of Pacific American Launch Systems, Inc., will chair this session. Mr. Hudson’s company is exploring ways to provide low cost space transport using advanced technology. Prior to starting his new enterprise, Mr. Hudson was President of G.C.H., Inc. where he designed and built the Percheron experimental launch vehicle. Joining Mr. Hudson on this panel will be Phil Salin, President of Arc Technologies, Inc. Mr. Salin is also involved in the development of a low cost launch vehicle system. Anthony C. Materna will examine the market for expendable launch vehicles and draw comparisons between various launch systems currently under discussion. Mr. Materna is Director of Marketing of Space Vector Corporation where he was responsible for the preliminary design of the Conestoga orbiters. Charles Curley will comment on the necessity of private development of space in his talk “Would You Want the Post Office to Deliver Your Oxygen?” Mr. Curley is currently involved in free-lance computer software development and is additionally a partner in Blue Sky Products, a software business. Prior to striking out on his own he was employed by Rockwell International’s Electronic Devices Division as an Engineer- Scientist. Robert Staehle will explore technologies and transportation systems available in the near future, 1983 2030, in his presentation “Resource and Technical Developments Offering Leverage in Space Transportation.” Mr. Staehle is an aerospace engineer at Cal Tech’s Jet Propulsion Laboratory where he is involved in the Advanced Mission Design studies, and is also President and Founder of the World Space Foundation. 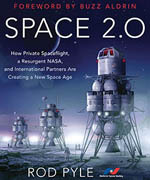 In the second half of this program Rand Simberg will analyze the necessity of adequate orbit-to-orbit transportation and the development of space industrialization, comparing several types of propulsion systems under evaluation including solid stages, storable liquid hypergolic stages and cryogenic vehicles. Mr. Simberg is with the Advanced Engineering Department, Flight Technology Group in the Shuttle Orbiter Division of Rockwell International where his chief responsibilities are determining technology requirements for shuttle-based orbital transfer vehicles. Dr. Carl Schueler, Staff Research Engineer in electro-optical instrumentation with the Santa Barbara Research Center, will discuss remote sensing technology and its applications. Dr. Sundar Rajan will lead off this session with his talk on the “Composition of Asteroids.” Dr. Rajan is a staff member with the Department of Terrestrial Magnetism at the Carnegie Institution in Washington, D.C. and is the author of numerous articles on meteoritics. Dr. Neal Hulkower, Senior Engineer in the Project Engineering Group of the Mission Design Section of Cal Tech’s Jet Propulsion Laboratory, will discuss candidate asteroids assessible from the Earth and the energy requirements to reach (and return from) them. Dr. Hulkower has completed some studies for mission opportunities to several asteroids which approach the Earth during the next decade. Chuck Nichols will conclude this program by discussing the development Of a cost effective prospector to determine which asteroid is the most suitable first target. Pilot plants, steel mining and fuel production will be detailed as illustrations of the early phases of production in his talk “How To Mine an Asteroid. ” Mr. Nichols is a systems engineer with 360 Systems in Los Angeles and has been involved with engineering for space since 1973. “Terraforming and Orbital Towers” will be the topic of discussion for Jerome Pearson, a Senior Engineer in the Structural Vibration Branch of the Air Force Flight Dynamics Laboratory. Mr. Pearson will discuss the uses Of orbital towers or “space elevators”, initially for the construction of orbital space habitats and factories, and ultimately for modifying climates in the terraforming of planets. Are we alone? Dr. Eric M. Jones analyzes mankind’s movement into space as a continuation of ancient migratory expansions in his address on “Interstellar Migrations” and hypothesizes about the existence of other migratory technological species. Dr. Jones is a Laboratory Fellow at Los Alamos National Laboratory where his work encompasses interstellar migration, atmospheric effects Of nuclear explosions, stellar explosions, and the effects of asteroidal impacts. He is currently writing a book on future human migration across the galaxy with anthropologist Ben Finney of the University of Hawaii. Dr. Robert Forward will speak on “Advanced Propulsion for Space Transportation.” Dr. Forward is a Senior Scientist out Of the Hughes Research Laboratories in Malibu, California and a private consultant on gravitation and advanced propulsion systems. He is one of the pioneers in the field of gravitational astronomy, having participated in the construction and operation of the first gravity antenna for the detection of gravitational waves from black holes and neutron stars. He is presently the Principal Investigator on a major Air Force study of alternate propulsional energy sources for space vehicles. His first novel, Dragons’ Egg, was recently released by Random House/Ballentine and his second novel, Roche World, was recently serialized in Analog and will be published by Pocket Books in 1983. This session will deal with Luna as a source of raw materials with emphasis on mining methods, benefication methods and lunar engineering problems. Richard Gertsch, a design and productivity mining consultant from Bloomfield, Colorado will chair this session. Mr. Gertsch will be joined by Dr. David R. Criswell, a Research Physicist at the California Space Institute of the University of California at San Diego, who will speak on general principles and directions for the future. Since 1973, Dr. Criswell has worked extensively as principal investigator on NASA-sponsored programs to identify means whereby lunar and asteroidal resources can be converted into industrial feedstocks suitable for space- based industries. This year’s Art Show is an attempt to present to the public a spectrum of the various forms and movements of cosmic art. Works by seven artists have been selected, based upon the original, imaginative and expressive qualities of their ideas and visions of space. Carol Bergman of Los Angeles combines a traditional, formal fine art background with teaching experience. In approaching her art, she explains, “I try to see without labelling. Instead, I explore the object and try to see it without preconception. I call this process the search for the essence … There are forms in nature which are the elements from which people, regardless of culture, language or prevailing technology, build up their perceptions of objects. These forms are what I call the ‘universal handwriting’. ” Ms. Bergman has had many exhibits in both Los Angeles and San Francisco. Michel Bezman explores collage as his preferred form of art, and space figures prominently as a favorite theme. The cover of this year’s Conference Program is a space industrialization work specially created by him for the Conference. Mr. Bezman recently received the Paddington Award and has completed an individual exhibition at the DuBose Gallery in Houston. His collages have graced the covers of numerous art magazines and posters in the Houston area. Mr. Bezman is also a professor of architecture at the University of Houston. David Egge is a self-taught artist who made his professional debut in 1978 in Astronomy Magazine. Since then his work has appeared on numerous paperback book covers, magazines (Science Digest, Astronomy and Omni) and in Carl Sagan’s Cosmos project. Mr. Egge extensively researches his subjects and consults with scientists and university professors in order to make his astronomical art as accurate as possible. He has been a space enthusiast for years and has painted on the topics of space exploration, asteroid mining and megastructures appearing in science fiction literature. Mr. Egge lives in Minneapolis. Gordon Onslow-Ford has devoted some forty years as an artist to the search for and the revelation of the inner-worlds that underlie dreams. His paintings in recent years bring to mind poetic evocations of the realm of nuclear physics. Cosmic themes express the elemental matter of the universe and of the human spirit. Mr. Onslow-Ford resides in England. Vesta Kirby of San Francisco has dedicated her time since 1953 to the search for new media and new expressions in art. In 1972 Ms. Kirby began her series of Solar Phenomena paintings. These include an impressive collection of solar and light paintings, studies of the inner and outer worlds of light phenomena and explorations of the dynamics of light and space. Ralph White approaches the cosmos through the space-age medium of acrylic. Mr. White is the recipient of a number of awards and grants, including a Ford Foundation Grant, has had over one hundred regional, national and international group and one-man exhibitions, and his works appear in numerous public and private collections in the United States and England. Mr. White is a Professor of Art at the University of Texas in Austin. The artists whose works appear in this exhibition were selected by an art jury chaired by Ctess. Rodika Mirea-Petrini. Ben Bova, author and former editor of science fact and fiction, and John William Corrington, author, philosopher and screenwriter, will welcome Conference participants to the 1983 Space Development Conference at 6:30 p.m. Friday. Dr. Corrington will explore the relationship of myth and philosophy and how mankind’s venture into space will generate a new mythology to express man’s philosophical response to the experience Of deep space. Dr. Corrington is a noted novelist who has been characterized as the successor to William Faulkner. He has also authored scripts for a number of movies and several television series in conjunction with his wife, Joyce Hooper Corrington. Mr. Bova’s message will be “A Vision of Tomorrow.” He will address the real, long- range reasons why a space effort is essential to human development. Mr. Bova is well known for his numerous science fiction novels and his nonfiction dealing with space development. He has also influenced space and science fiction literature in the past in his roles as editor of Omni and Analog magazines. Conference participants and the general public are invited to attend Easter Sunrise Services at 6:30 Sunday morning in the Pool Area. Rev. David Foster, president of the Houston L-5 Chapter, has prepared a special nondenominational program for the Conference. Thirty specialists from varying fields will meet in closed sessions during the Conference to carry on the continuing work of the Lunar Colony Design Unit Workshop under the direction of Dr. Rinaldo A.A. Petrini. In a long-term project which was begun at the 1982 Space Development Conference, this group is attempting to establish a discipline for the planning and the design of lunar and planetary habitats. An additional goal of the group is the development of a nucleus of expertise which may be utilized to mobilize public opinion in support of NASA and efforts to establish a U.S. moon base. Friday afternoon from noon to 5 p.m. the Workshop will hold a “Show and Tell” session on “Planetary Habitats,” recounting its efforts over the past year. On Sunday at 4 p.m. Dr. Petrini will deliver a report to the Conference on the results of this year’s Workshop. Participants in the Workshop will include: Ethan W. Clifton, architecture; David Eisenberg, polymathematics and synthesizing; Colin K. Mick, information technology and technology transfers; Larry S. Bell, architecture, design and engineering; Michel Bezman, architecture; Winson Cope, immunology; David R. Criswell, geophysics; Mike B. Duke, planetary earth sciences; Mike Gibson, fuel chemistry; Virginia Heinlein, terraforming; Lynn Holden, Egyptology and archeology, specializing in religion; Paul W. Keaton, planetary habitat sciences; Donald Lutz, constitutional design; Windell Mandell, geophysics; Lewis Manson, geological history; Ctess. Rodika Mirea-Petrini, costuming and environmental design; Stephen Passony, sociology and political analysis; Jerry Pournelle, mathematics; Clinton L. Rappole, food and beverage specialist; Scott Smelser, criminology and security; Bill Spencer, computer sciences; John Thiede, landscape architecture; Jesse Tomasello, computer graphics; Gullielmo Trotti, space habitats design; Arnold Kramish, nuclear physics and defense analysis; Dr. Lawrence, aquaculture and nutrition. Observing the Workshop will be: Art Dula, international space law; James Vaughn, finance; James B. Scoggin, logician; Joe R. Cowles, biologist; Owen Davis, Omni Magazine; Mr. DeGarmo, Science Digest; and Dennis Overby, Discover. HOME ENTERTAINMENT INC. of 5310 Kirby Drive, Houston, Texas, 526-4317, who supplied audio equipment for use by the Conference. BURKE, DANIELS, DRYDEN & CO., P. O. Box 36069, Houston, Texas 77236, 772-4422, who donated insurance for the Conference. PAN AMERICAN WORLD AIRWAYS, the official airline Of the Conference.